I am always a loyal iOS user when it comes to mobile computing. In my opinion, iOS is the best mobile operating system on the planet. The iPhones and iPads are finest examples of seamless integration between software and hardware. But there’s another mobile operating system called Android……..
Android is the main competitor of iOS. It is a mobile operating system developed by Google. Even though both iOS and Android are based on the UNIX system, the main difference between the two is their source model. iOS is closed source and Android is open source. In an open-source software, its source code is available to all the developers around the world. These developers have the rights to modify and distribute their own versions of the software. This is why there are more than 100 varieties of Androids on the market, ranging from customized versions like Cyongenmod and OEM versions like Samsung Touchwiz. This is insane! If this is not a problem to you then it should be. These modified android systems lacks regulatory updates, making the device vulnerable to attacks. In addition to that, Android has a super slow adaption rate. Android 2.3 (Gingerbread), released in 2010, has more users than the latest Android 7.0 (Nougat). Look at all these bloatware! Most of Androids on the market are different from the one developed by Google. Phone vendors such as Samsung, LG and HTC modify original Android to “better suit” their hardware. By “better suit”, I mean adding useless applications (bloatware) on top of the existing Google apps. These new applications not only duplicate the purpose of Google apps, they also dramatically slow down the phone! Worst part it, you can’t delete them because they are the “default” applications! I call this hooliganism in software making! Phone vendors aren’t the only one that stuff irremovable applications on your Android phone. 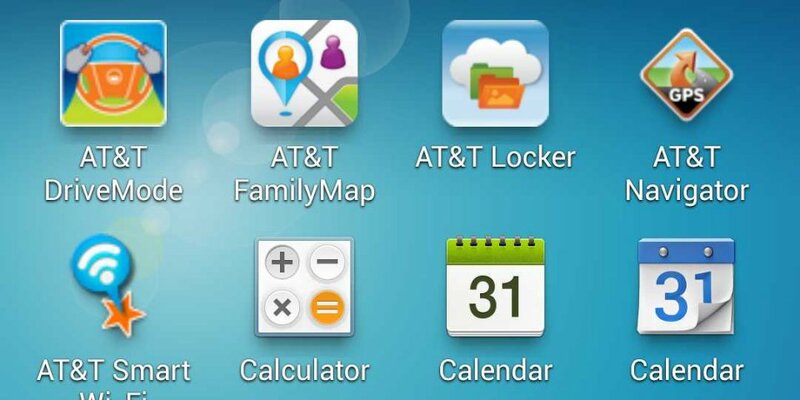 If you are using a carrier locked Android phone, you’ll see that your “awesome” carrier has installed bunch of “helpful” applications for you. Thank you carriers…. not. You’ll never see these problems on an iPhone because iOS is a closed-source system with a sandbox environment, meaning that users operate their task within a secure framework that won’t destroy the system. It receives regulatory updates and always maintain the original version with no bloatware. Steve Jobs once denounced how carriers were controlling the contents of your phone. All default apps in iOS are made by Apple. Many Android phone vendors also think that it is the perfect idea to implement removable storage with micro-SD card slot. This is such a stupid idea and you won’t even know where your file is saved. Android Applications tend to randomly select a place to store your file and it is up to you to configure before your file disappear. Even if you configured the default storage, storing applications and their data in different locations is just stupid. Android phone vendors, including Google themselves, tend to think that a quad-core or even octa-core processor along with more than 4GB of RAMs will increase the performance on their device. In reality, Android isn’t optimized to fit the variety of processors on the market. No matter how powerful the processor is, the Android smartphone will began to slow down after extensive period of usage due to factors such as hardware optimizations. Qualcomm’s Snapdragon series system-on-a-chip (SoC) has been the ideal choice for many high-end Android smartphones in the recent years. However, Qualcomm’s solution has been out-performed by Apple’s A series SoC in a yearly basis. With tremendous power packed inside individual cores, Apple’s A series can easily oust a Snapdragon SoC that contains more CPU cores. I’ve purchased an Android phone for software QA that claims to be deca-core (10 cores). In reality, the phone lags on some basic task like web browsing and the entire experience is much worst than my two years old iPhone 6. Don’t get me wrong, Google is still a great company. It makes some of the best Internet services. Their industry leading technology is empowering everybody on this planet. Despite their great success, Google is terrible at integrating software and hardware. Just look at the Chromebook, who’s going to pay $200 for a browser? If the best of Google are all on the Internet, or in the cloud, then there’s really no point at using an Android. If you love Google services, the best “Google” phone is actually an iPhone. When Apple released the first iPhone in 2007, Android was just a dream inside the minds of Google executives. Since the original iPhone integrated with Google Maps and Gmail. 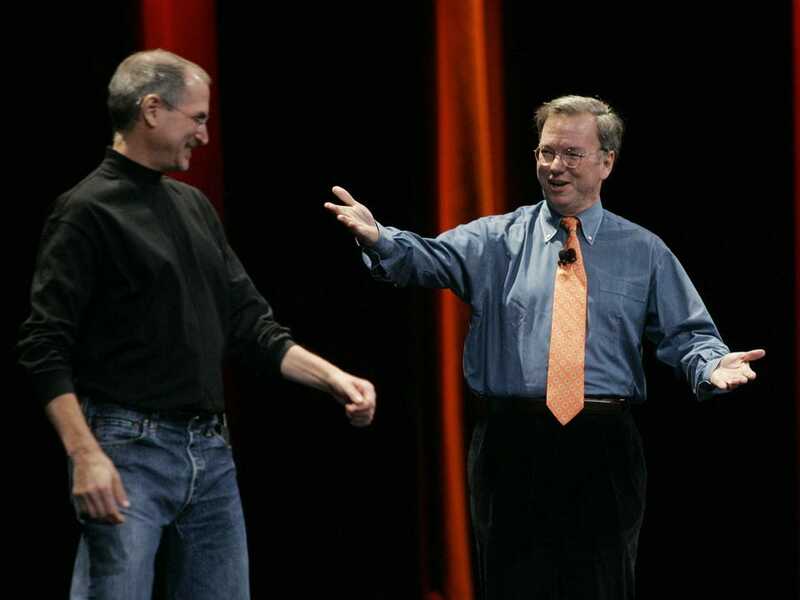 Eric Schmidt, then CEO of Google, joined Apple’s Board of Directors as a sign of collaboration. Schmidt quit the board in 2009 when Google commercialized the Android project. I don’t know about you but Schmidt definitely got some ideas from Apple. Click here for my full article on why iOS is the best mobile operating system.